Tired Of Not Achieving Your Goals? Try This. 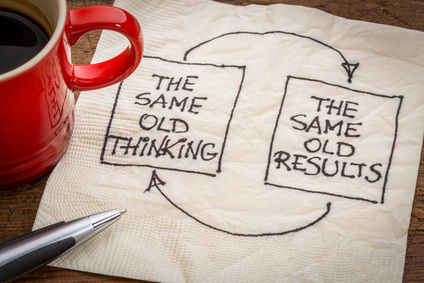 You cannot achieve new or different results with the same old thinking, actions, and behaviors. I have learned this truth the hard way. Multiple times over, in fact! If you have too, it’s time to ask yourself an important question: How can I do things differently? And every day, you might wonder, why doesn’t he open up more? Why doesn’t she give me some detail? Then one day, you ask a different question. Boom. Take a different action, get a different result. This week, consider where you most want to grow, and do something new. Sharing your message via video instead of a blog post. Starting your day with journaling instead of social media. Hiring a professional to accelerate your results instead of trying to figure it out on your own. Joining the 2019 ASPIRE Success Club before enrollment closes on Friday. If you are frustrated or discouraged by your results (or lack thereof), don’t lose heart. Just take a different action. Find out firsthand why so many members describe their involvement in the ASPIRE Success Club as their best investment of the year – and in some cases, of their lives! ENROLLMENT ENDS THIS FRIDAY! Join the 2019 Club today!